Can my spouse come on the trip? No. 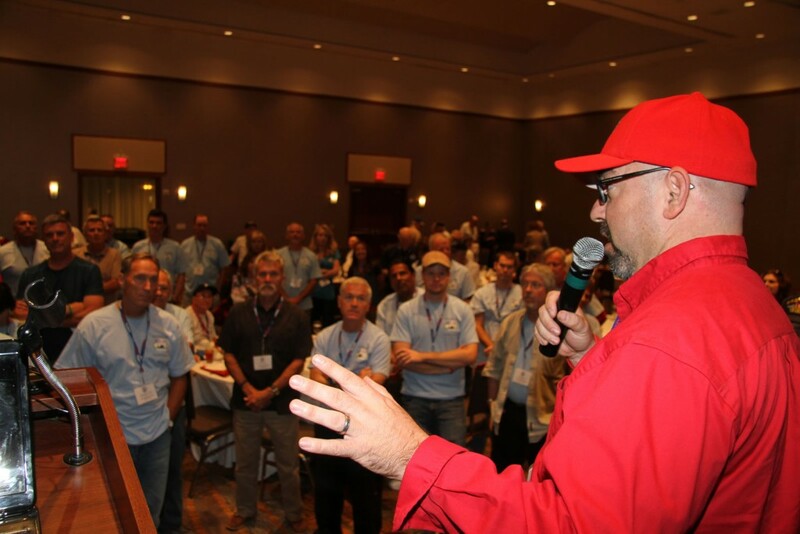 While this is always a difficult and sometimes emotional question to answer, it is the policy of Honor Flight San Diego (HFSD) to exclude spouses unless they are also a veteran, even if they are willing and able to pay their own expenses. These trips are dedicated to our veterans and with limited space, we must ensure that every available resource is allocated to their accommodation. Can I bring my personal wheelchair or scooter on the trip? No. But HFSD is very well prepared to provide wheelchairs for every veteran for the duration for the trip. 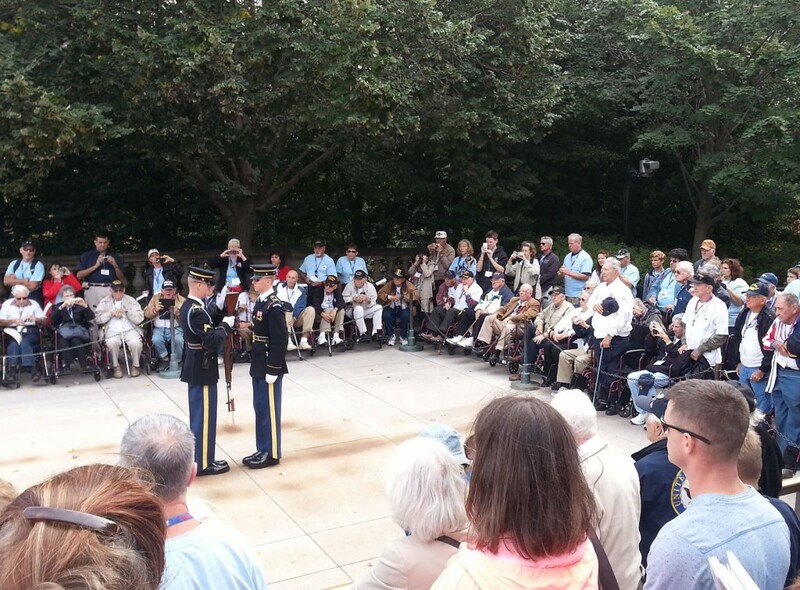 Veterans are encouraged to bring their personal cane or walker if they wish. I am on bottled oxygen; do you provide assistance for that? Yes. HFSD will provide qualified assistance for Veterans who require oxygen. However, we must receive the oxygen prescription as soon as the trip is confirmed so that we can prepare for your needs on the plane and for the duration of your time in D.C. Yes! Please make sure you have fresh batteries and film or available memory on the SD card. It also helps to practice with new cameras in advance of the trip so that you understand how they work well before you need them. Guardians will be happy to assist you. No. It is the responsibility of Veterans and Guardians to secure transportation to and from the San Diego airport. As appropriate, Team leaders can provide contact information to Veterans who live near each other so they can consolidate transportation at their own discretion. No. Due to room availability and expense, all Veterans will share a room with either another Veteran or with a family member Guardian. We understand that some Veterans may have physical conditions that they believe will be an issue or inconvenience for a roommate. However, our experience has confirmed that this accommodation does not create any real issues, particularly given the minimal time we actually spend in the hotel room. The HFSD website provides a recommended packing list, but the most important rule of thumb is packing for comfort. All events are causal and wearing comfortable walking shoes and clothing in layers is ideal. On Saturday, we will be traveling on the same bus throughout the day so any items not worn can be securely stored in the bus. Team leaders and Guardians will monitor local weather conditions and advise Veterans accordingly. Some veterans have worn their WWII military uniform to the evening meals or to the memorial tour and we encourage that if the uniform is appropriate for the expected weather and comfortable. We do encourage all veterans to wear a military cap that showcases their branch of service, field of battle, or military station. Can my son/daughter/family member be my Guardian? Yes. Family members are eligible to be Guardians if they are physically capable of assisting the veteran during the entire trip, have completed a Guardian Application and Covenant Not to Sue, and have submitted a $750 check (or pay via PayPal) to cover the cost of their flight, hotel, meals, charter bus seat, name tag, and HFSD T-shirt. The HFSD Director of Logistics will review the Guardian roster and make all final selections. Qualified family members who already reside on the East Coast or in the Washington, D.C. area are very desirable as they do not require a seat on the San Diego plane which makes that space available for additional veterans. East Coast Guardians must submit a Guardian application and Covenant Not to Sue in advance of the trip. Contact your Team Leader to determine costs for meals, charter bus, name tag, and an HFSD T-shirt. 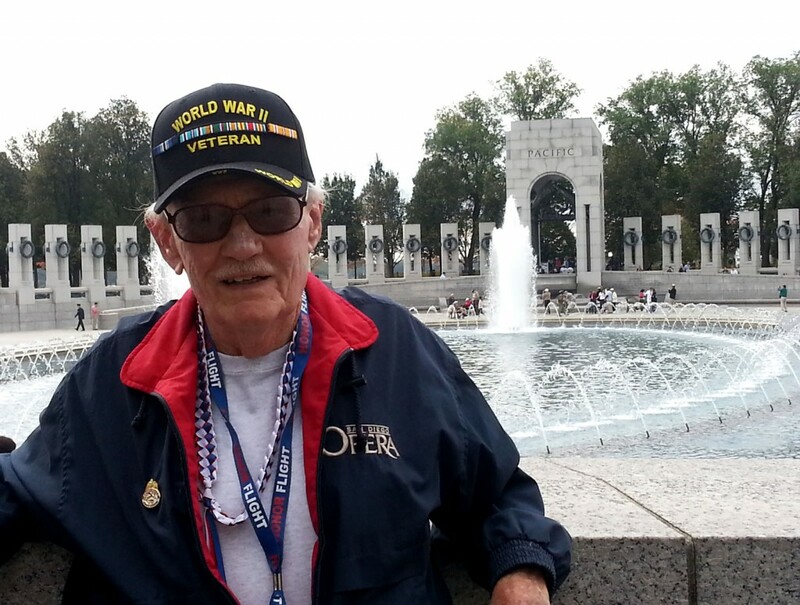 All checks should be made payable to Honor Flight San Diego and mailed to: 9423 Keck Court, San Diego CA 92129. Can multiple family members accompany me on the trip or meet me in Washington? HFSD allows only one family member to act as Guardian and does not allow multiple members of the same family to accompany veterans on the flight. This ensures that all available airline seats are dedicated to our veterans. However, we do encourage family members to meet Veterans at the memorials in Washington, D.C. or the scheduled dinners at the hotel, at their own expense. Family members interested in joining a veteran for dinner on Friday or Saturday night must advise HFSD in advance and pay a $30 fee to cover the cost of each meal. 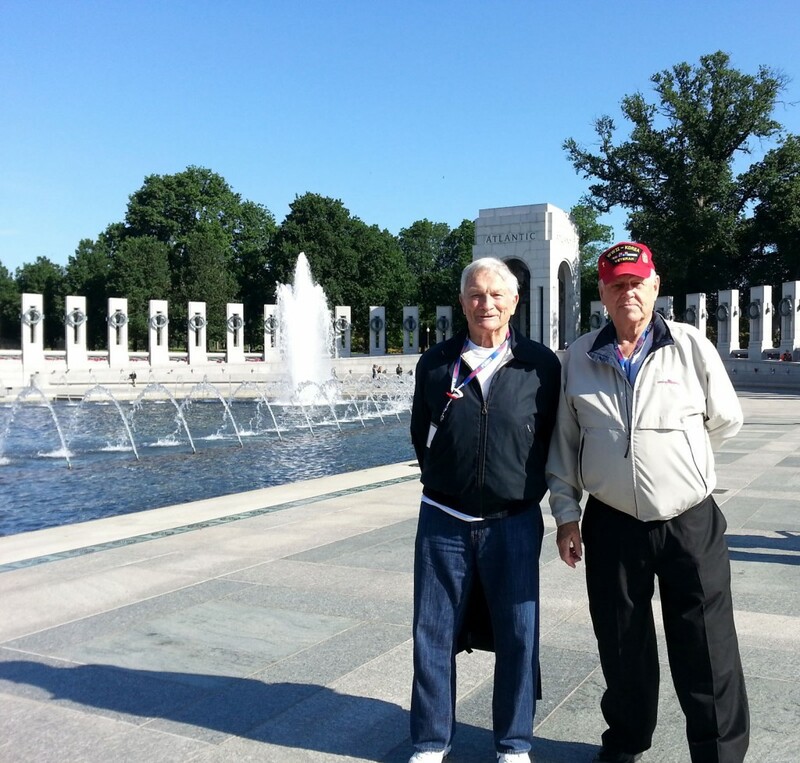 Advise the hotel that you are with Honor Flight San Diego in order to secure the contracted room rate. I have a friend I would like to invite on the trip; do you think that they can go? No. The purpose of this trip is to transport Veterans to their memorial and accommodating friends would require us to bump a well-deserving Veteran who has been patiently waiting their turn. I have a friend in D.C.; do you think I can visit them? Veterans and Guardians will be subject to a very tight schedule during the trip and we cannot accommodate any deviations from that itinerary. However, friends are welcome to meet Veterans at the hotel or at the memorials, may join us for dinner at the hotel, or, if space permits, may accompany us on the bus. However, the HFSD Director or Chairman must be advised in advance and visitors must cover any costs associated with their visit ($30 per meal, and a charge for the bus). I know someone buried at Arlington; can we stop by their graveside? No. Arlington Cemetery spans 624 acres and finding a specific gravesite cannot be accommodated within the limited time that we have available. In addition, the HFSD charter bus is mandated to follow a very specific route that allows us the privilege of parking directly in front of the pathway to the Tomb of the Unknown Soldier and we don’t want to abuse that privilege. Can we go to the FDR, Marine museum, or any other stop not on our itinerary? No. Our itinerary allows us to spend a reasonable amount of time at the maximum number of memorials and museums. While we certainly wish we could see more, we simply don’t have the time. I am female veteran; will we be stopping at the Women’s Memorial? Yes. HFSD recognizes and respects the desire of our female Veterans to see their own Memorial and can arrange to have the bus stop at the base of Arlington Cemetery to drop off any women who wish to tour that site. However, it should be noted that Veterans who tour the Women’s Memorial will not see the changing of the guard at the Tomb of the Unknown Soldier. There is not enough time to do both. Guardians play a significant role on our trips and are responsible for helping to ensure every veteran has a safe and memorable experience. Duties include: physically assisting the veterans at the airport, during the flight, at the hotel and at the memorials. You may also remind them to take medications, ensure they are properly dressed for the weather and that they stay hydrated throughout the weekend. You will also ensure they are where they need to be at the allotted times (airport, dinners, bus, etc). Do Guardians have to pay a fee? Yes. To ensure that all donated monies are specifically dedicated to our veterans, we ask that Guardians be responsible for paying their own travel expenses. The $750 covers the cost of the flight, meals, hotel, lanyard, T-shirt, and charter bus seat. How many veterans will I be responsible for? You will be assigned one veteran if he/she requires a wheelchair. You may be assigned up to two veterans if they are able to walk or are able to walk with assistance using a cane or walker. Please note that while you will be assigned a specific veteran(s), we ask all Guardians to be available to assist any veteran at any time. Can I meet my Veteran before the trip? Yes. Your Team Leader will ask you to call the Veteran the week before departure and introduce yourself, exchange cell phone numbers, and answer any last minute questions the veteran may have. But you are also free to arrange a meeting in advance of the trip if this is mutually agreeable. How else can I help my Veteran? Take photos. 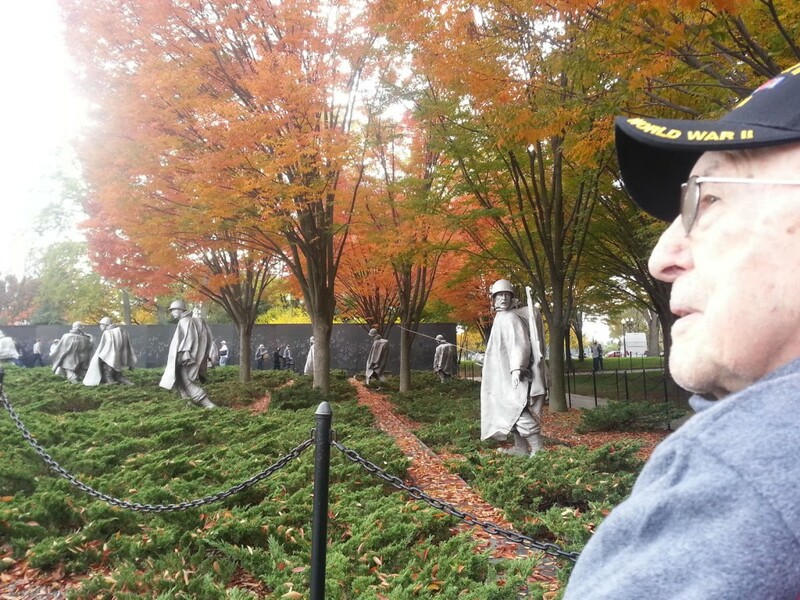 While the veterans are busy taking pictures of the memorials, it is wonderful to have the Guardians take photos of the veteran throughout the day. 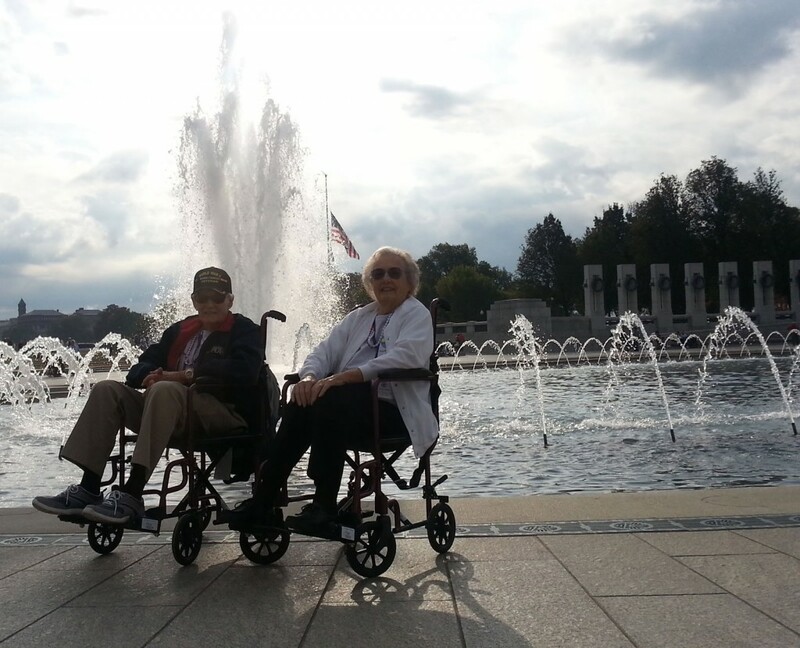 Photos that show the veterans enjoying the sites are the ones most cherished by family and friends. Engage. You will have the opportunity and privilege of hearing firsthand accounts of the war to end all wars! Ask questions as appropriate and listen. 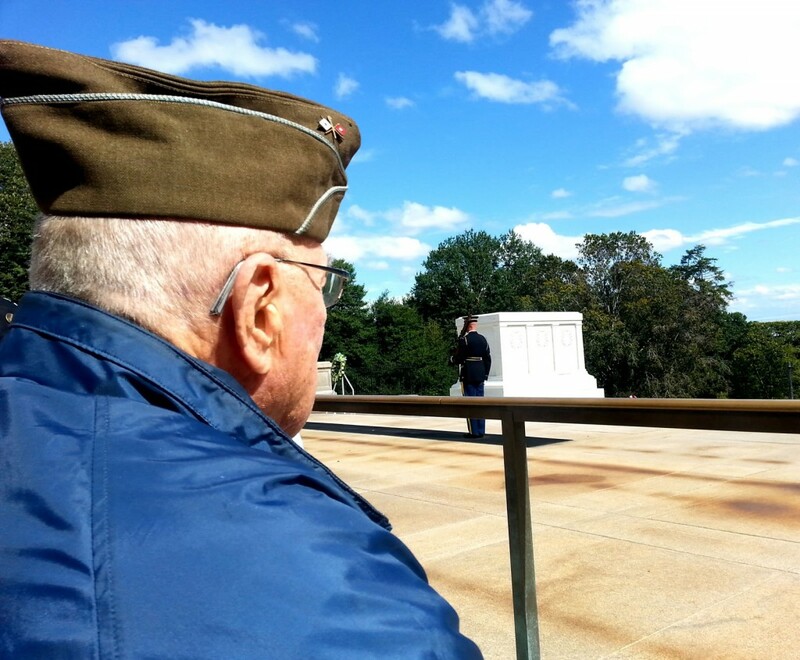 Some of our veterans have fought in the Battle of the Bulge, survived Pearl Harbor, landed on the beaches of Normandy, stormed Iwo Jima and engaged in a multitude of notable and critical battles. The camaraderie of this trip will entice many to tell their stories. Speak with the veteran’s spouse in advance of the trip. Many of our veterans have not been separated from their spouses for quite some time. It’s nice to reassure beloved husbands and wives that the veteran is in very capable hands. Yes. All Guardians receive a training presentation prior to the trip and will take a short quiz to confirm they understand the critical responsibilities. The results are forwarded to the Team Leader who will verify that the Guardian is prepared for this duty.